I got married last Saturday, and Amy set up in the bar area of the hotel whilst the reception meal was going on in the main suite. 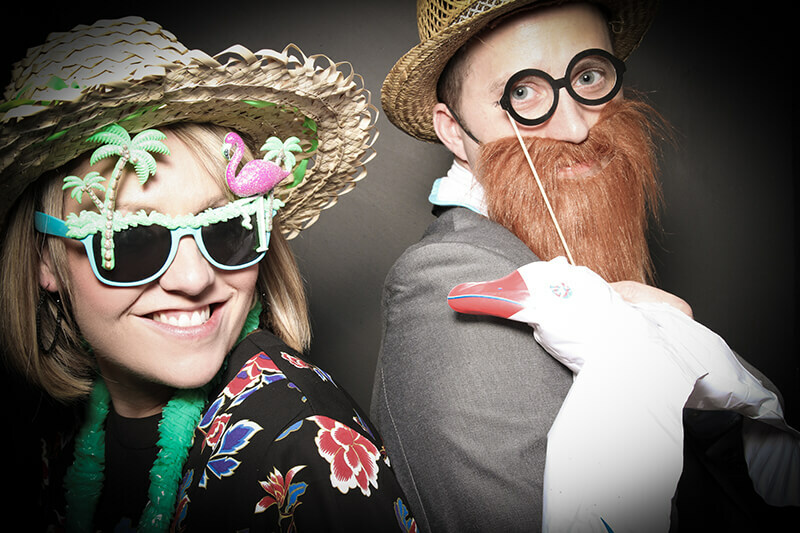 By the time the guests started filtering out into the bar after dinner, Amy and her magic photo booth were all set up for customers…& before long, there was a buzz of excitement and lots of giggles all around it. It was a massive hit with our guests (72 adults and 19 children!) and Amy worked incredibly hard to ensure everyone who wanted a picture got their turn in the booth..suggesting suitable props too. The booth produces 2 strips of 4 photos, so the guest gets to keep a strip, and the other was stuck into a memory book with messages written beside it from those guests…a wonderful keepsake for our memory box of our special day. It was easily the best entertainment we could have booked for our guests …so, wether it’s your wedding coming up, a special birthday party, Christmas do… Whatever the occasion, you really can’t go wrong with this. Thanks Amy! Rob and I are over the moon we managed to book you last minute for our wedding reception. May you have continued success with this business as you truly deserve it!